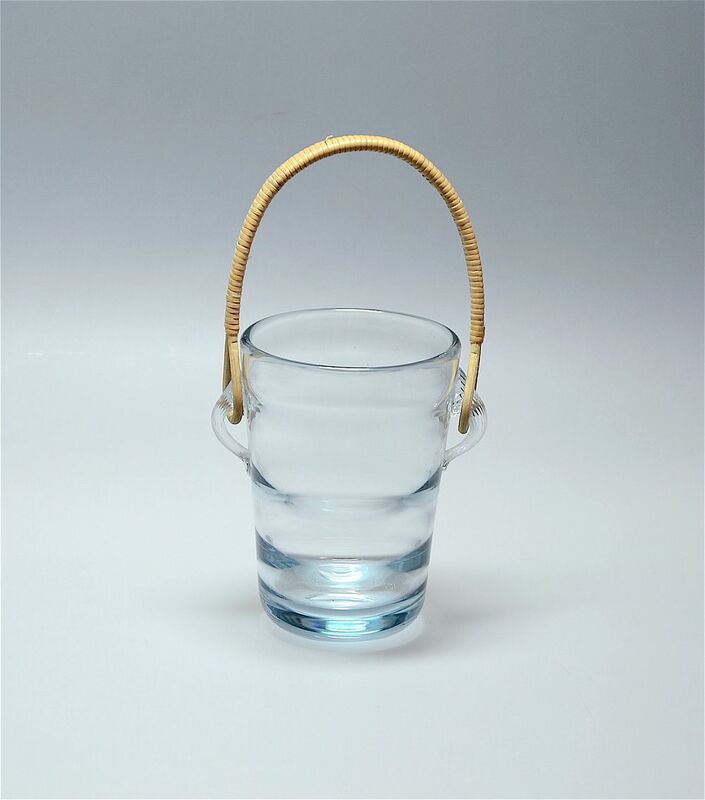 This lovely ice bucket is by Holmegaard the Danish glass company and was designed by Per Lutken in the 1960s-1970s. It is made of aquamarine coloured glass with a ribbed inside. The handles are in the shape of an elongated shell and it has a raffia handle. The underside of the base is signed "Holmegaard 8715". Put a bottle in it or a plant or just enjoy it in your cocktail cabinet and it will always be stylish. Very good - some slight scratching to underside of base.